Math. While some of us love it, to others it was the dread of their school days. To the latter, I apologies but this is going to be a math posy. 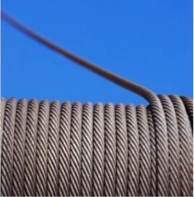 Fortunately, I’ll be doing it all on my end and I promise there’s a good point for you to use when it comes to buying the proper wire rope for your job. To the former, here we go! 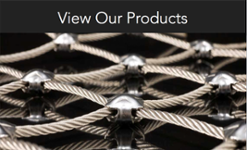 Wire rope is an investment. An investment in performance, reliability, safety, and peace of mind. Like any investment, it pays to analyze all aspects of the value created with your money. For instance, you are building garage doors that require 30 total feet of cable. You have two choices of cable to purchase. One, a military specification cable that costs $.35/ft, but will last for 10 years. The other, a commercial dry cable that costs $.10/ft and will last for 4 years. What do you choose? 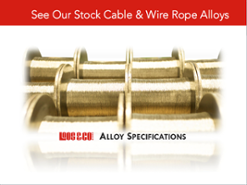 On face value, it’s easy – Over the 10 year period of comparison, you will need to purchase the military specification cable once at install and once at year 10 for a total of $21.00 (30 X .35 X 2). 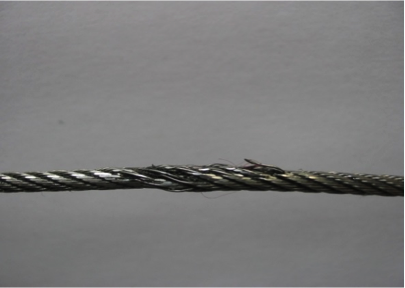 The commercial dry cable will be considerably less expensive, at $9.00 total cost. That’s 30 feet times 3 purchases (year 0, 4, and 8) x $.10/ft. Done. Performance wise you are offering your customers an inferior product when a better one exists. Do they take a discount on your selling price because they know the cable will last 4 years vs. 10 years? Also, consider the reliability – both you and your customer will be worrying about when the garage door will stop functioning and you’ll have to rush out repair folks to get the new cable installed. Let’s say a service call costs you $150, and you charge $250 plus material for the call – your door just became that much more expensive to you customer over that 10 years – to the tune of $500! And $300 in service costs to you. If we summarize just these few considerations, the $12 savings on cable will cost you $300 in service time over 10 years, and provide you an additional $200 in profits ($500 service charge - $300 service cost). Commercial cable is winning this analysis to the tune of $212 if you sold the two options at the same price. But who would do that? 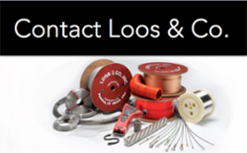 Your customer can do the math -- $500 in service calls means the value in that lower performance product only exists if selling price is $500 less than the product using military specification cable. One last analysis and I’ll wrap this up. The door made with the $12 more expensive cable can sell for $1500 dollars. Based on the above, the door using the commercial cable could sell for $1000 for an equal customer value. You’d probably have to charge a little less, to close the deal, so I’ll go with $950. If we assume the cost to manufacture is equal (plus $12 for the better cable), at the end of your total transaction, you will have received $1500 in revenue from the better door with no service costs, compared to $1450 in revenue minus $300 in service costs for the value door = $1150. All to save $12 per door on the initial manufacture. So, if you do the math, it make more sense (and more money) to spend the extra up front for a better performing, more reliable cable. It’s simple, right? You can pay now, or pay later as the saying goes. I for one would appreciate paying with $1500 in my pocket, versus with $1150.